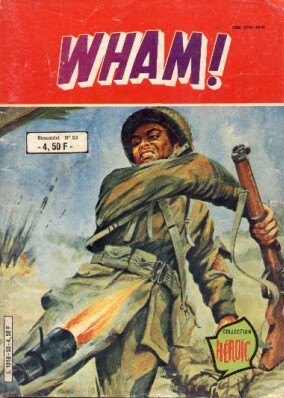 Série VF : Wham ! → Sgt. Fury And His Howling Commandos #74 (01/70) Each Man Alone! → Sgt. Fury And His Howling Commandos #59 (10/68) D-Day For Dum Dum! → Sgt. Fury And His Howling Commandos #73 (12/69) When Two Worlds Collide!